A pair of GMD F7A's, in the "Zebra Stripe" paint scheme wait for their next assignment. 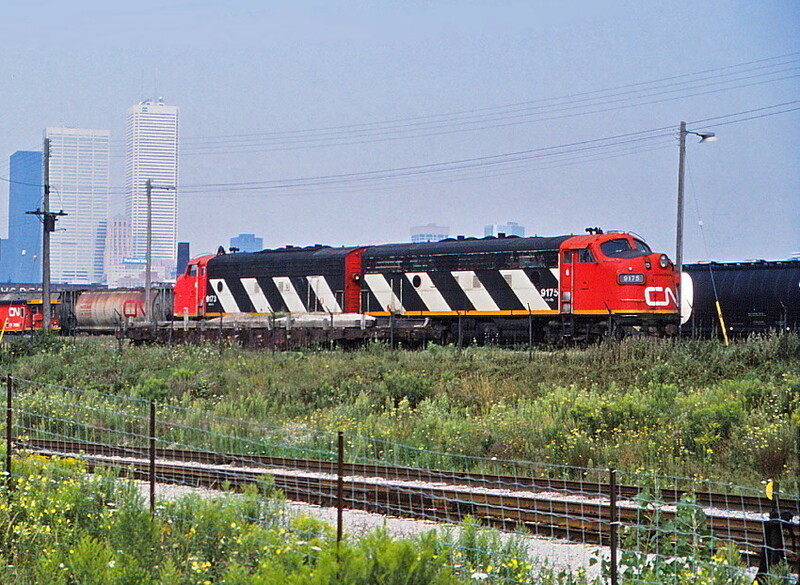 Photographed by Bruce Macdonald, August 14, 1986. Added to the photo archive by Bruce Macdonald, September 12, 2018.